2-piece set. 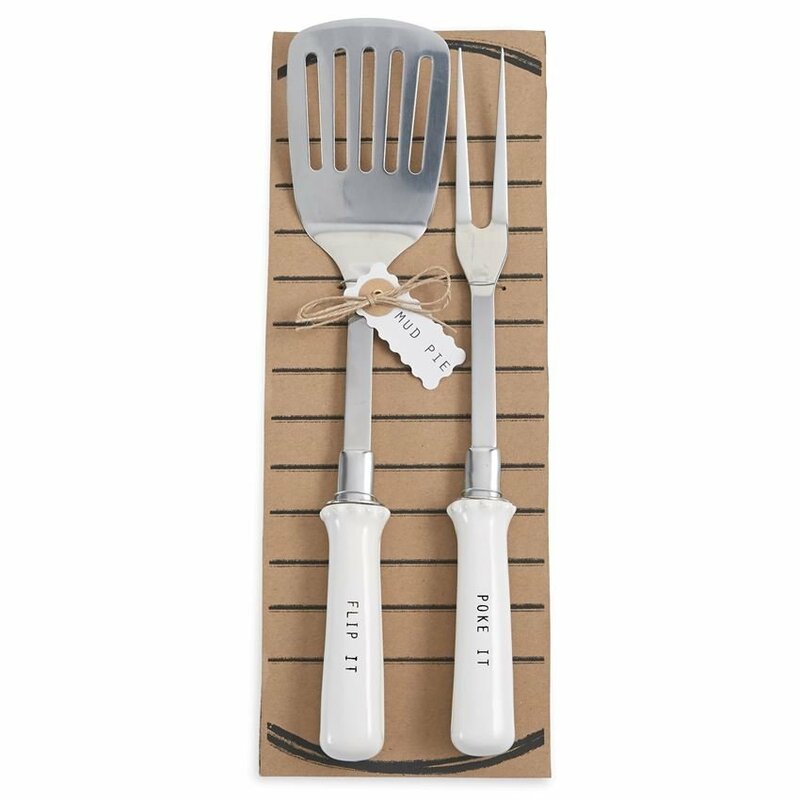 Stainless steel fork and spatula grilling set features ceramic handles with resist "POKE IT" and "FLIP IT" sentiments. Utensils arrive on clever "grill" display card.